Drug manufacturer Johnson & Johnson agreed to a $33 million settlement with the federal government and 42 states after it was alleged that its subsidiaries failed to maintain quality control standards and produced defective products over a two-year period. The defective over-the-counter medications include: Tylenol, Motrin, St. Joseph Aspirin, Benadryl, Sudafed, Zyrtec and Zyrtec Eye Drops, Rolaids, Pepcid, and Mylanta. It was alleged that these products had musty odors, contained unwanted particles and bacteria, and did not dissolve properly. This put products with improper labels on the market and put consumers at risk. Under the settlement agreement, the responsible subsidiaries, McNeil-PPC and McNeil Consumer Health Care, agree to not unlawfully promote OTC medications. They will uphold internal standards and federal regulations, including taking preventative and corrective actions when manufacturing OTC drugs. The businesses will not represent online that their manufacturing facilities meet Good Manufacturing Practices if they instigated a recall of an OTC drug product within the previous 12 months. If a recall occurs, they will promptly respond to all written requests from attorneys general seeking information to identify wholesalers and warehouses of the affected drugs. The Johnson & Johnson brand has more than 250 operating companies that sell products in 60 different countries. Their sales amounted to $70.1 billion worldwide in 2015. When one of Johnson & Johnson’s subsidiaries produces contaminated or defective products, it has the potential to reach millions of adults and children. The risk of injury is severe. When an individual is injured by a defective OTC drug, he or she may have the right to seek compensation under a products liability claim. California law recognizes strict liability when a product injures someone. This means the injured individual does not have to prove that the designer, manufacturer, or seller of the dangerous product was negligent. He or she only has to prove that the manufacturing or design defect of the drug was a substantial factor in causing his or her injuries. However, a person injured due to a defective OTC drug can also seek compensation on the theory of negligence, which means that the creator, manufacturer, or seller failed to uphold their legal duty and act with the required amount of care. The injured individual would have to prove that the other party’s actions were substandard, which was a substantial factor in causing that person harm. Were You Harmed by an OTC Medication? 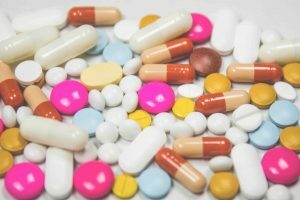 If you took an OTC medication and suffered an injury, call the experienced San Francisco defective product lawyers of Brod Law Firm at (800) 427-7020. We have years of experience handling these types of claims. We will explain your rights, investigate the situation for you, guide you through your legal options, and represent you in an insurance claim or lawsuit. Our main priority will always be to obtain you the maximum compensation possible for your injuries, including medical expenses, lost wages, pain and suffering, disfigurement, disability, and loss of consortium. Call us today or contact us online to schedule a free initial consultation.